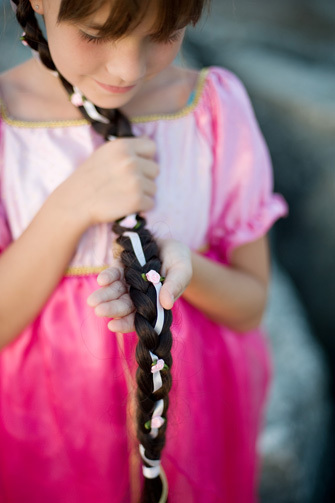 Rapunzel Braid for your little brunette. 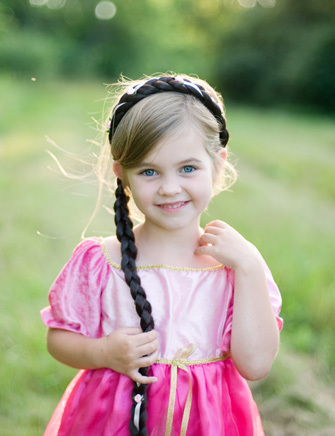 A beautiful extension to any length hair, our Brown Rapunzel Braid is made with beautiful soft fibers (you won't believe how soft) attached to a comfortable headband and accented with delicate pink ribbon and roses. It is 30" long. Who says Rapunzel has to be blonde? 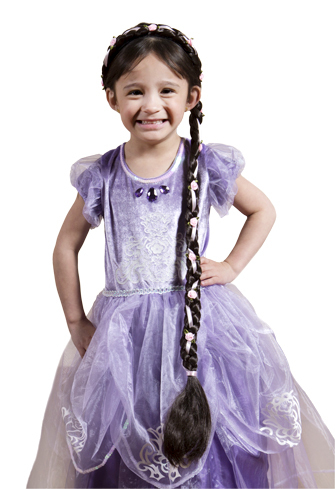 Q: Is the Rapunzel Braid Headband in Brown wide enough to fit a 10 year old girl? 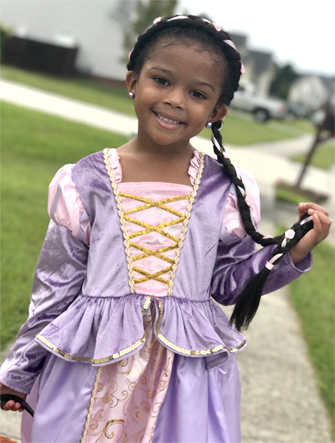 My 3 yr old is over the moon to have a braid like Rapunzel. It doubles as an Elsa braid in our house as well. It's super easy for her to put on by herself and stays in place. I don't think it will survive if she decides to take a brush to it...time will tell. It's very cute and the price is good. We're happy with it. I ordered this for my 2.5 yr old daughter. She has very short curly hair & is envious of long hair. This is by far one of her favorite gifts. She wears it & holds it & pets it constantly. She says the teeth on the top of her head hurt a bit, but I think it's just because she doesn't have much hair. It looks wellmade & a worthy purchase.